Join dim-witted Homer, long-suffering Marge, rambunctious Bart, whip-smart Lisa and baby Maggie as they stumble into one hilarious misadventure after another in this Emmy-winning cartoon series. 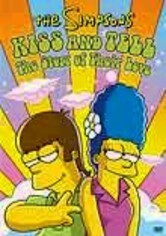 A pop cultural phenomenon since its inception, the long-running show features a dazzling array of animated guest stars, including Paul and Linda McCartney, Bob Newhart, the Ramones, Dennis Rodman, Leonard Nimoy and more. 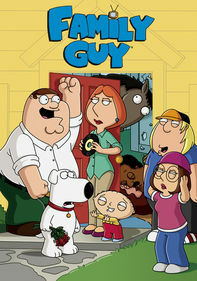 One of the smartest and consistently funny cartoons ever is also the longest-running prime-time sitcom. Laugh and wince as the Simpson family stumbles through middle-class escapades in the first season of what would become a cultural phenomenon. Whipping out humor from satire to slapstick, the program presents memorable gags and one-liners as Homer, Marge, Bart, Lisa, Maggie -- and the entire Springfield community -- take on a life of their own. Bart, Homer, Marge, Lisa, Maggie and the rest of the Simpsons' animated world that brought us the memorable utterances "D'oh!" and "Eat my shorts!" return with more smart -- and smart-mouthed -- comedy in its second season. 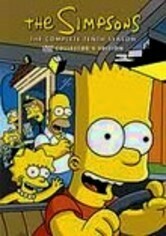 As Bart continues to magnificently underachieve, the hapless, semi-dysfunctional family is joined by an array of guest voices, beginning the tradition of celebrities playing themselves in animated, hilarious form. The Simpsons found their stride in year four, arguably the best season ever of one of television's seminal animated hits. 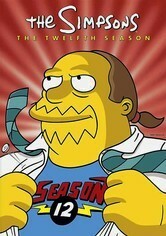 Lisa, Bart, Homer, Marge, Krusty, Mr. Burns and all the gang are back for more mayhem in Springfield. This time around, Lisa and Bart go on a Duff Garden adventure, the siblings take over Camp Springfield when Krusty is a no-show, and much more. 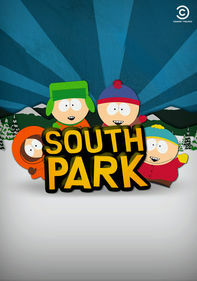 This collection includes all 22 episodes from Season 4. 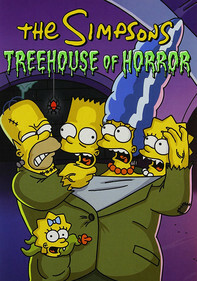 Five years into its successful run, "The Simpsons" had already established itself as one of television's biggest hits, consistently turning in edgy and witty episodes not previously associated with an animated series. 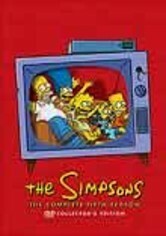 Rediscover the magic and genius of the show's 1993-1994 run, which has Homer, Marge, Bart, Lisa, Maggie and the rest of the gang dishing out even more hilarious hijinks. Guests include George Harrison, James Woods and The Ramones. Welcome to Springfield, where Bart's still up to his old tricks, Lisa's playing the sax, Homer's craving a Duff and Marge's hair is riding high. Season 6 of "The Simpsons" includes the cliff-hanger whodunit "Who Shot Mr. Burns? (Part 1)" and more. 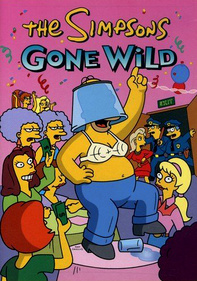 Other episodes include Lisa failing gym class in "Lisa on Ice"; Homer and Marge attending a candy convention in "Homer Badman"; Homer going to a pilots' bar in "Fear of Flying"; and more. 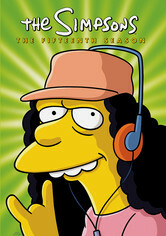 Mr. Burns identifies his would-be assassin in the conclusion of "Who Shot Mr. 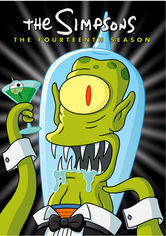 Burns?,"which is just one of many classic episodes in this stellar seventh season of the long-running hit animated series. The laughs are plentiful this season with Homer's work-at-home weight gain scheme, Lisa's determination to shed her nerdy image, a best-of episode and Bart's Dennis the Menace-style attack on his new neighbor, former president George Bush. 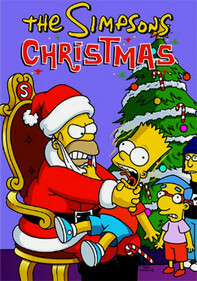 Springfield's favorite family roars into its eighth season in this collection. Highlights include Rodney Dangerfield as Mr. Burns's son in "Burns, Baby Burns" and Johnny Cash as a coyote spirit in "El Viaje Misterioso de Nuestro Jomer." Also included is "The X Files" stars Gillian Anderson and David Duchovny as Scully and Mulder in "The Springfield Files." 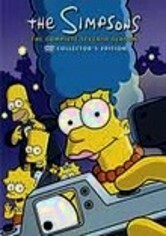 Series creator Matt Groening, as well as other writers and cast, sound off on the commentary tracks. 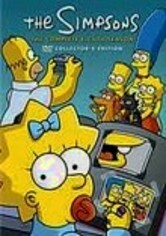 The Simpsons -- Homer (Dan Castellaneta), Marge (Julie Kavner), Bart (Nancy Cartwright), Lisa (Yeardley Smith) and Maggie -- are the all-American family, but they're hardly typical. 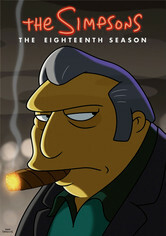 In the long-running animated series' ninth year, they head to New York City to retrieve Homer's car; Seymour Skinner (Harry Shearer) celebrates 20 years as Springfield Elementary School's principal; and Apu (Hank Azaria) charms the ladies at a bachelor's auction. Series creator Matt Groening's irreverent animated show about the not-so-typical American family continues to follow the ups and downs of the hilarious Simpson clan. 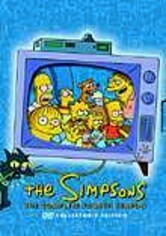 In the program's 10th season, Homer (Dan Castellaneta) ends up in bed with Kim Basinger; Lisa (Yeardley Smith) plays hooky to feed her video-game addiction; neighbor Ned Flanders (Harry Shearer) reveals his true age; and the family vacations in Japan. After more than a decade on the air, "The Simpsons" keeps on ticking, and Homer (Dan Castellaneta), Marge (Julie Kavner), Bart (Nancy Cartwright), Lisa (Yeardley Smith) and Maggie are as animated as ever. In the show's 11th season, Homer weighs in on Mel Gibson's remake of Mr. Smith Goes to Washington; Lisa helps her father keep his job as a food critic; and Bart is confined to a wheelchair after breaking his coccyx. 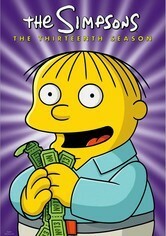 A hexed number proves lucky for the Simpson clan -- Homer (Dan Castellaneta), Marge (Julie Kavner), Bart (Nancy Cartwright), Lisa (Yeardley Smith) and Maggie -- in this collection of episodes from the show's 13th season. 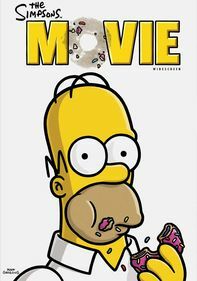 Moe (Hank Azaria) suffers a midlife crisis and attempts to reinvent himself and his bar; Homer breaks his jaw and has his mouth wired shut; and Marge sets up a scarecrow in her new garden. 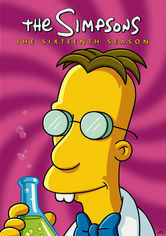 In sunny Springfield, the Simpsons -- Homer (voiced by Dan Castellaneta), Marge (Julie Kavner), Bart (Nancy Cartwright), Lisa (Yeardley Smith) and Maggie -- are stirring things up again in this laugh-out-loud 14th season, in which we find Homer hiring a private detective and more. 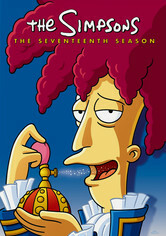 Krusty the Klown (also voiced by Castellaneta) gets elected to Congress, and Mr. Burns (Harry Shearer) tries to kill Homer by drugging him and encasing him in a tomb. 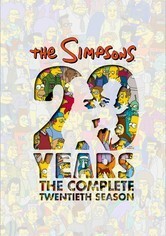 The Simpson family celebrates their 15th anniversary with another hilarious season of animated misadventures. This year, the power plant fires Homer (Dan Castellaneta) and the library's bookshelves are barren, so it's up to Marge (Julie Kavner) to teach the kids about history. Also, Lisa (Yeardley Smith) gets revved up to run against Nelson (Nancy Cartwright) for Springfield Elementary School class president. 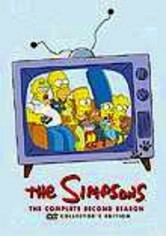 The laughs continue in the 16th year of "The Simpsons," the show that chronicles the day-to-day misadventures of Homer (Dan Castellaneta), Marge (Julie Kavner), Bart (Nancy Cartwright), Lisa (Yeardley Smith) and Maggie. This season, Homer begins to suspect that Marge and Moe (Hank Azaria) are having an affair; Lisa and Bart catch a glimpse of their respective futures; and the Simpson family tries to go vegetarian. 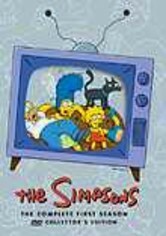 Just when you think you've seen it all, the Simpsons -- Homer (Dan Castellaneta), Marge (Julie Kavner), Bart (Nancy Cartwright), Lisa (Yeardley Smith) and Maggie -- redefine funny. 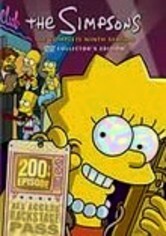 In the 17th season of the animated sitcom, Lisa spends the night in a cemetery to allay her fears and more. Springfield's denizens unearth a frozen postman and his 40-year-old bag of mail and Bart gets sent to a camp for bad seeds. 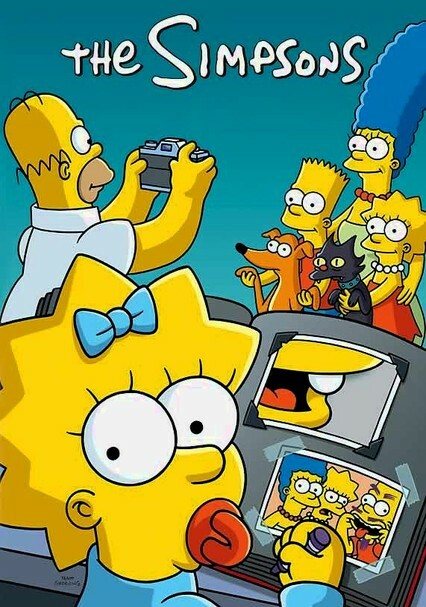 "The Simpsons" is much more than a show about the creatively told misadventures of Homer (voiced by Dan Castellaneta), Marge (Julie Kavner), Bart (Nancy Cartwright), Lisa (Yeardley Smith) and Maggie: It's also America's longest-running sitcom -- and for good reason. During the program's 18th hysterical season, Lisa befriends the son of a mob boss; Marge turns into Ms. Fix-It; peanuts are banned at school; and Homer enters basic training. 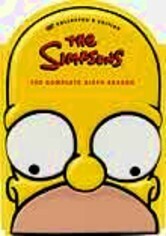 After 20 years of laughs, "The Simpsons" is back for another season of pop culture enrichment. 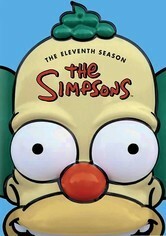 But what could Homer (voiced by Dan Castellaneta), Marge (Julie Kavner), Bart (Nancy Cartwright), Lisa (Yeardley Smith) and Maggie possibly do now to crack us up? With help from regulars Hank Azaria and Harry Shearer -- who voice scores of voices between them -- there's hardly a need for such a silly question.